I haven’t done one of these in a while. For one thing, I’ve been busy writing! I finished all three of my fifties novellas (and I’m in the middle of editing them right now), I’m just (like this weekend) finished with second round edits on my novel, Infamous, contracted with The Wild Rose Press, and I’ve started the second novel to follow-up Infamous. I’ll have lots more info for you on all of that in the coming months. But for now, what I’m digging this month. following Thursday and rewatched the entire season. The Battle of the Bastards! 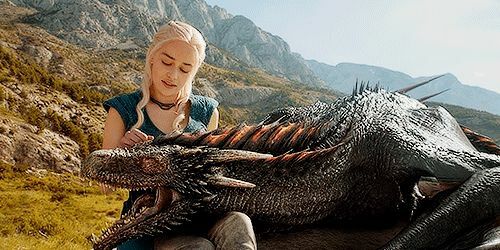 Daenerys and dragons! The taking back of Mereen! Killing the khals! Bran and Whitewalkers! Hodor! “I drink and I know things,”! The Green Trial! I could go on. And on and on. The point is, it hit every structure and pacing note imaginable. Every episode was top-notch. If you’ve never watched Game of Thrones, I not only suggest you do so immediately (get HBO Now for a month or two), I’m wondering what the hell you’re waiting for. Next, let’s talk about what I’m doing in my down time. I’m playing video games, of course. I play lots of what’s called casual games. I play Happy Street and Hollywood University on my iPad. I’m an Animal Crossing fanatic. (My AC:NL dream code is 4600-4766-5087; go ahead and visit me.) Yes, I’m blushing as I admit that. I have lately been investing a lot of my free time in The Sims 4. In many ways, it’s not as good as it’s predecessor. I mourn the open town and the color choices, particularly. However, other than loading screens, TS4 has its own high points. Being able to do more than one thing at once and great graphics on low-end machines are two of them. All the same, it amuses me, and that’s all that matters. Maybe in a few years, when computers catch up to higher end gaming, we can have an open town again. For now, I’ll play both versions. Finally, let’s circle back around to writing. A book was recommended in the crit group I belong to called Romancing the Beat by Gwen Hayes. It’s to the right there and that’s an affiliate link. This book was everything I’ve ever looked for on story structure for romance novels. I read an article recently from BookRiot that the forumalaic elements of romance are like the elements of a sonnet. Yes, there are certain beats you want to hit if you want to write a good kissing book (what the author of the book calls them), but that’s no different than a lot of other writing that is revered. So what? It doesn’t make them any less enjoyable to read, if they’re your thing. They’re definitely my thing, and understanding why they work is, as well. What are you enjoying this July? Also, happy birthday to me: I’ll be 42 on Sunday!